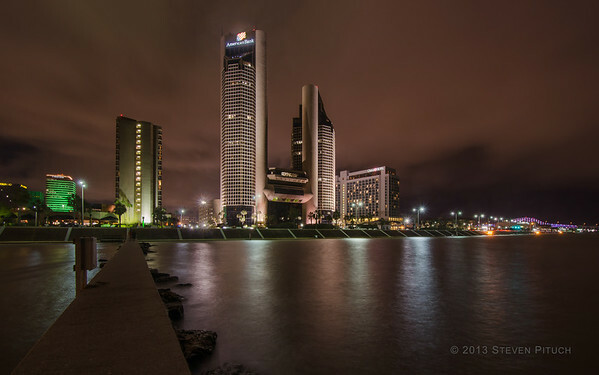 This is a standard HDR taken from the jetty in front of the American Bank Center. HDR software usually blows out the highlights so a severely under-exposed image was burned in at the American Bank sign and neon flag and most of the bare bulbs. Two lovers had passed me going to the end of the jetty. As they were coming back they told me of the storm front rolling in. I turned around and saw that it was very close. The wind suddenly got to about 20 mph and I got to the car just in time.